Daniel Ferreira da Ponte has been an attorney since 1998. 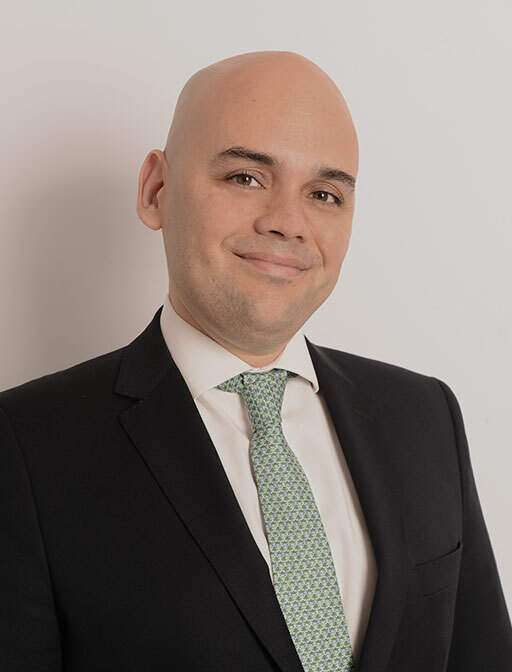 He is a founding partner of Novotny, Ney, Saldanha, Penna, Ponte, Vianna & Corrêa Advogados, with extensive experience across a wide range of areas of business law. Daniel has represented several domestic and international clients across various industry sectors for more than twenty years. His experience includes legal issues involving shopping centers, airports, capital and financial markets, as well as industries in general. Daniel focuses his practice on strategic disputes, including court litigation, arbitration and administrative proceedings. His practice, though, is not limited to representing the client in the dispute; Daniel’s experience enables him to provide an in-depth assessment of problems in each case with a view to provide the most efficient solution for the client, prior to the actual dispute or during the dispute proceedings themselves. Daniel works closely with the clients to align the business context of the case to the legal strategy that will be applied to solve it. His background in litigation allows him to anticipate problems that are likely to occur, which puts him in a privileged position when assisting clients in the negotiations of contracts, be it to prevent future litigation or to prepare the client for an envisaged litigation.